Update: With the rumoured release of an Amazon smartphone pegged for tomorrow, it's emerged that AT&T is poised to be the sole carrier for the handset. Rumours of an Amazon smartphone have been around for a few years now, but the reality of a new device from the retail giant has never been closer. The success of the Kindle eReader had commentators questioning when, rather than if the company would enter into the tablet and smartphone race. The first hint appeared in September 2011, when a report in the New York Times emerged that claimed one of its reporters had been told Amazon was in the early stages of developing its own smartphone. However, it wasn't until November that same year that the first real shreds of evidence that Amazon had begun working on a smartphone emerged. In a report to investors, financial giant Citigroup said that it had evidence from Amazon's supply chain that the online retailer had contracted Foxconn to build it a smartphone. According to that report, it was supposed to be launched during the fourth quarter of 2012. The fourth quarter of 2012 came and went with no sign of an Amazon smartphone. Indeed, rumours only strengthened around Christmas 2012 as the Amazon Kindle Fire HD – Amazon's first fully fledged tablet – emerged as a critical and commercial success. So far, the only glimpse we have of what the Amazon smartphone could look like is a leaked graphic (pictured above) that was supposedly created for internal use at Amazon. Published by tech site BGR, the initial design appears to be a 4.7-inch display and, as we can see from the picture, a custom user interface based on Google's Android OS. The first hint as to what Amazon's phone might cost emerged in December 2012. According to the Taiwan Economic Times, the phone was predicted to have a price tag of around $200 or £130. Speculation from Forbes in 2014 suggest a bargain basement price of $99 USD, which is about £58. At that staggeringly low price, chances are the phone wouldn't win any awards for performance. That said, the price point could be a completely moot point. If the latest reports are correct, the company may have completely dumped Foxconn as a production partner, opting instead to work with HTC. Amazon has a history of low up-front costs for its devices which it sees as a portal to its digital and physical content delivery services - where the real money is made. Along with the leaked image above, several specifications appeared in April 2014 that, understandably, have not been confirmed or denied by Amazon. First published by BGR, the 4.7-inch display will have a 300-320 ppi resolution while a 13MP camera will be featured on the back of the phone. Amazon will reportedly be using a Qualcomm Snapdragon 801 processor - the same as that found in the Samsung Galaxy S5 and which could possibly influence the price. Other rumoured specifications include 2GB of RAM and either a 2,000 or 2,400mAh battery. As far as special features go, we'd expect something like Siri or Google Now to feature - especially considering Amazon purchased Evi, a digital assistant company, last year. What is also a possibility is that the firm will include its Mayday service allowing users to receive live technical support at any point through the handset. "Using retina-tracking technology, images on the smartphone would seem to float above the screen like a hologram and appear three-dimensional at all angles," - WSJ. This appears a little far-fetched in T3's opinion but, then again, we are talking about the company that plans to deliver your products via drones in the near future. Adding strength to the 3D rumour is a video posted by Amazon earlier this month showing a selection of 'Amazon customers' using a mystery device. They seem wowed by a visual aspect of the phone, and one woman exclaims "it moved with me." Tilting and head-tracking looks likely, we'd say. Amazon could also offer free access to its Prime Instant Video film and TV streaming service to anyone who buys its phone. A source has told BGR that Amazon will offer 'Prime Data' to its phone customers – this would let them stream films and TV shows to their hearts' content without racking up any data costs, as Amazon would foot the bill. Amazon is also rumoured to launch a music streaming service similar to Spotify, which could also be given free through its smartphone. The WSJ thinks the Amazon Smartphone is going to be an AT&T only device, according to insider comments. We wouldn't be surprised - carrier competition is fierce across the Atlantic and an exclusive device could be a much-needed business boon for AT&T. 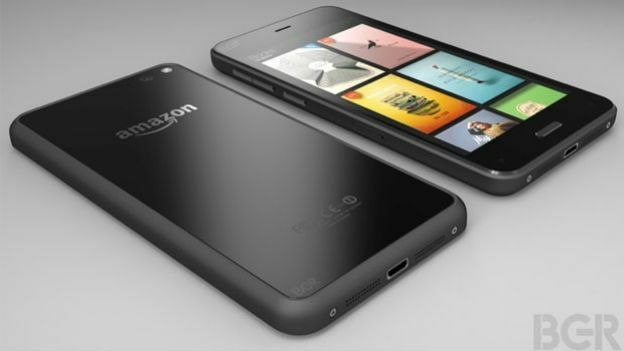 As with the Kindle Fire HD, the Amazon smartphone is likely to come with a heavily modified – or forked – version of Android. On the Kindle Fire HD, that is Fire OS 3.0 'Mojito'. The latest version of Fire OS – which was released alongside the new tablet – brings with it a range of new features including a revamped email client, calendar and Silk browser. It's the million dollar question. When will Amazon's smartphone be out? Well, according to the latest reports, the drop date is looking likely to be Wednesday 18th June at Amazon's launch event in Seattle, USA - although like the recently revealed Amazon Fire TV, it's likely to be a US-only release at first. The Wall Street Journal spoke to sources that confirmed the phone will hit the market in the third-quarter of 2014, which sits pretty with the whispers of a June announcement. Would you buy a smartphone from Amazon? What else do you need to see to convince you that it's the right phone for you. Join in the conversation over Facebook, Twitter or in the comments section below.